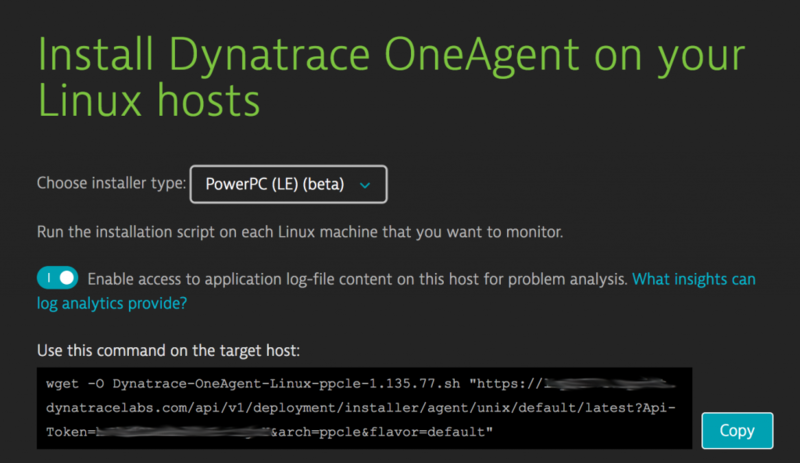 Dynatrace is proud to announce Beta support for PowerPC Little Endian architecture for OneAgent running RedHat/CentOS, Ubuntu, and SUSE (Open, as well as EL) operating systems. 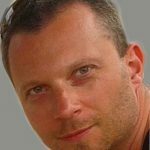 This means you get all the same support you currently receive for Linux on x86 architectures! This gives you full-stack visibility into PPCLE platforms running these technologies, regardless if they run on PPCLE or x86. Installation on PPCLE systems is identical to that on x86. Select the appropriate architecture from the Choose installer type drop list. To learn about all the technologies that Dynatrace supports, have a look at our supported technologies page. 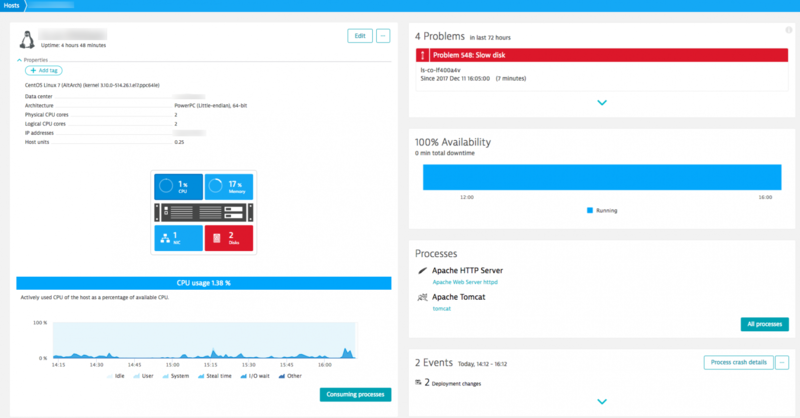 Note: PPCLE support requires Dynatrace OneAgent v1.135 or higher.